The IEEE is the world's largest professional society with over 400,000 members around the world and dedicated to advancing technology for the benefit of humanity. 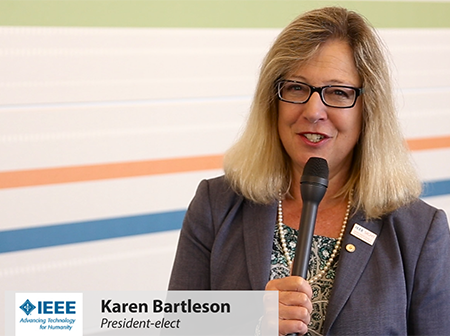 Karen Bartleson, President-elect of the IEEE, discusses her involvement with the IEEE's Internet Initiative, which is tacking tough problems in cyber security, privacy, and governance. She also talks about inspiring future engineers, especially young women, to take up the challenge of improving technology for betterment of the world.